LEGO Dimensions revealed the Hermione Fun Pack this weekend at the Celebration of Harry Potter event at Orlando. The new Harry Potter Fun Pack will feature a new exclusive Hermione LEGO minifigure featuring her outfit from the Harry Potter and the Deathly Hallows films. The Hermione Fun Pack is set to release in March (rumored to be Tuesday, March 21st in Wave 8). Emma Watson’s latest film, Beauty and the Beast, released on March 17th. 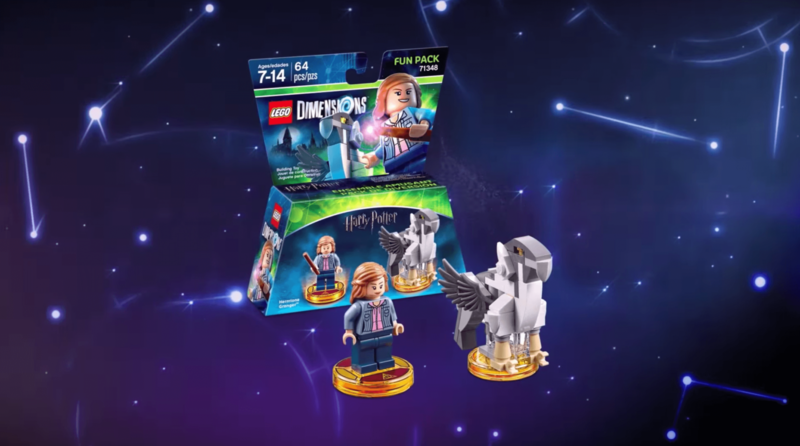 Included in this latest LEGO Dimensions Fun Pack is Buckbeak, one of the hippogriff’s that lived with Hagrid. Hermione will grant access to the Harry Potter Adventure World, the same one that is currently unlocked via Harry Potter or Voldemort. But you will also unlock a brand new Battle Arena. Don’t forget LEGO Dimensions Wave 7.5 launches on February 10th!